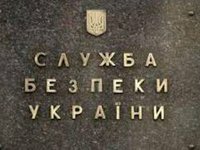 Ukraine's SBU State Security Service has published intercepted conversations of the crews of the Russian SU-30 aircraft and Ka-52 attack helicopter with air control dispatchers. The recordings are evidence of the aggressive armed attack by Russian ships on Ukrainian Naval Forces vessels in the Kerch Strait area on November 25, 2018. The intercepted recordings were demonstrated to a correspondent of the Kyiv-based Interfax-Ukraine news agency during a briefing in Kyiv on Thursday. "These intercepts leave no doubt that Russia's military commanders knowingly gave an order to use weapons against Ukrainian navy vessels," SBU deputy chief Oleh Frolov said.